Most of us are familiar with the more common skin cancers – basal cell carcinoma, squamous cell carcinoma, and malignant melanoma. 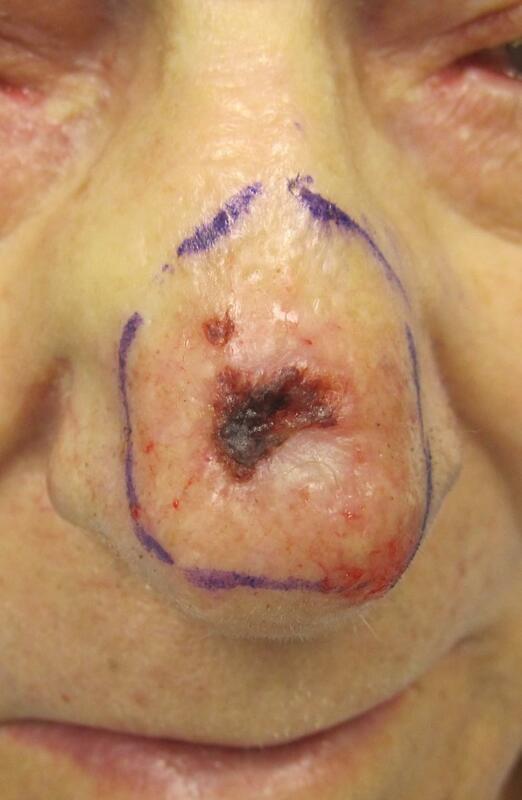 One that you may not be aware of is Merkel cell carcinoma (MCC). The first report of this cancer was in 1972. Since that time, the incidence of MCC has increased significantly. Between 1986 and 2001 the incidence of MCC increased approximately 8% each year. So what is Merkel cell carcinoma, and how does it differ from the other carcinomas? 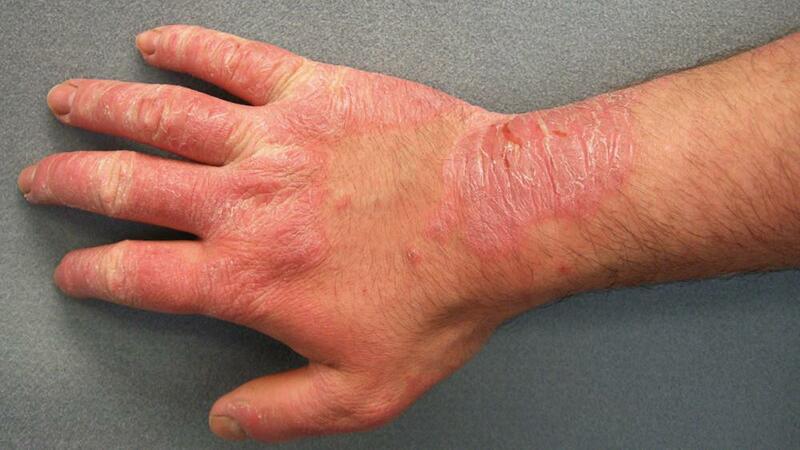 It is a very rare cancer of a specialized cell of the skin. This cell, known as a Merkel cell, is thought to play a role in sensation and how we feel light touch. Compared to other skin cells, much less is known about these cells, and they are a bit of a mystery. The reason we worry about MCC is that it is very aggressive. 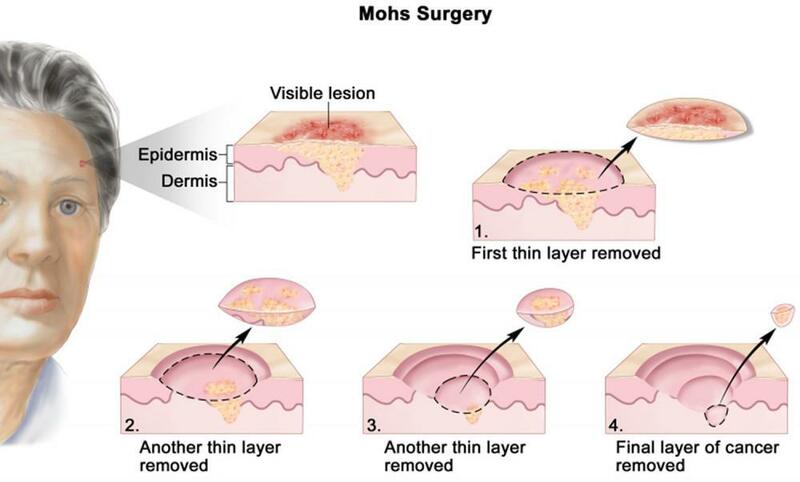 In comparison to other skin cancers, MCC can typically behave like a very aggressive melanoma. Around 30% of people with MCC die within 2 years. That number increases to 50% at 5 years. To make things worse, we still do not know the best course of treatment for the condition. 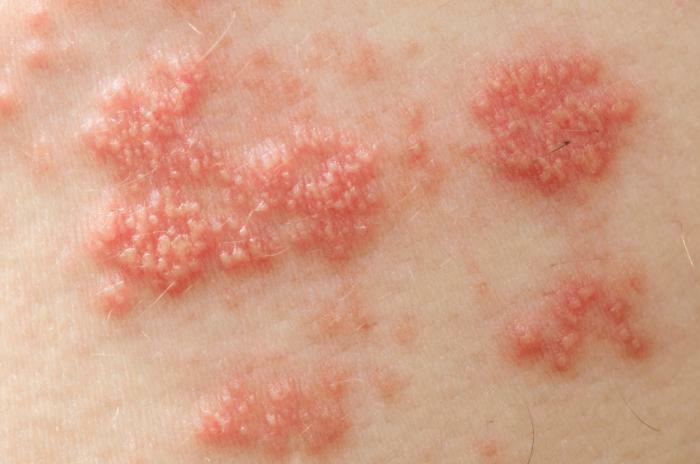 MCC typically appears on the skin as a small flesh colored to red/violet raised bump that is painless. 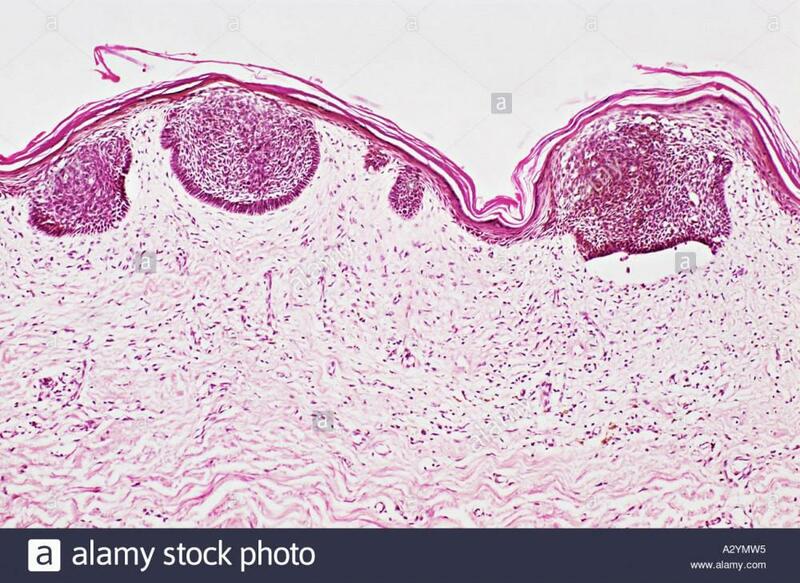 It is frequently confused for a harmless lesion by patients, and for less aggressive cancers (basal cell carcinoma) by doctors. This is because it so rarely seen. Only around 1500 cases a year are diagnosed. The most common sites to develop a MCC are the face, upper arm/shoulder, lower leg/hip, trunk, and scalp and neck. The mnemonic AEIOU is used to describe the appearance of MCC and the typical type of patient in whom it is seen. A is for asymptomatic, E is for expanding rapidly, I is for immune suppression, O is for older than 50 years, and U is for ultraviolet-exposed/fair skin. Most patients who suffer from MCC are of advancing age. Men are more likely to develop this cancer, especially those with a significant history of UV exposure. Patients who are immunosuppressed have a significantly higher risk of many types of cancer, including MCC. These include patients who have received organ transplants and who take immunosuppressive drugs to prevent rejection, certain cancer patients like patients with chronic lymphocytic leukemia (CLL), and those patients with immunodeficiency syndromes. It is very rare for a person younger than 50 to develop a MCC. In 2008, an association between MCC and a specific virus known as polyomavirus was observed. It is now known that up to 80 percent of patients with MCC are infected with this virus and it is believed that this virus plays some role in MCC. It is important to note that not all cases of MCC are associated with this virus. Once diagnosed, this cancer must be distinguished from certain types of metastatic lung cancer. Involvement of other sites must be ruled out and often tests such at CT scans are performed. Because of the rarity of the tumor, no one is sure what the best type of testing is, as there is much still left to learn about this type of cancer. Treatment of MCC involves surgical removal of all affected skin and tissue and evaluation of the surrounding lymph nodes. Radiation is frequently used after surgery to treat the involved skin and lymph nodes. On March 23, 2017 the FDA announced approval a drug called Avelumab for the treatment of metastatic MCC. This is the first drug ever approved by the FDA for MCC. Avelumab is what is known as a check-point inhibitor. It uses the patient’s own immune system to fight the cancer. By blocking certain molecular structures that typically keep the immune system in check, this medication allows the immune system to accelerate and function at a higher level, which in theory allows the patient’s own immune cells (T-cells) to kill the tumor. The important thing to remember about MCC, and most cancers for that matter, is that early detection is the best way to prevent spread of the cancer. 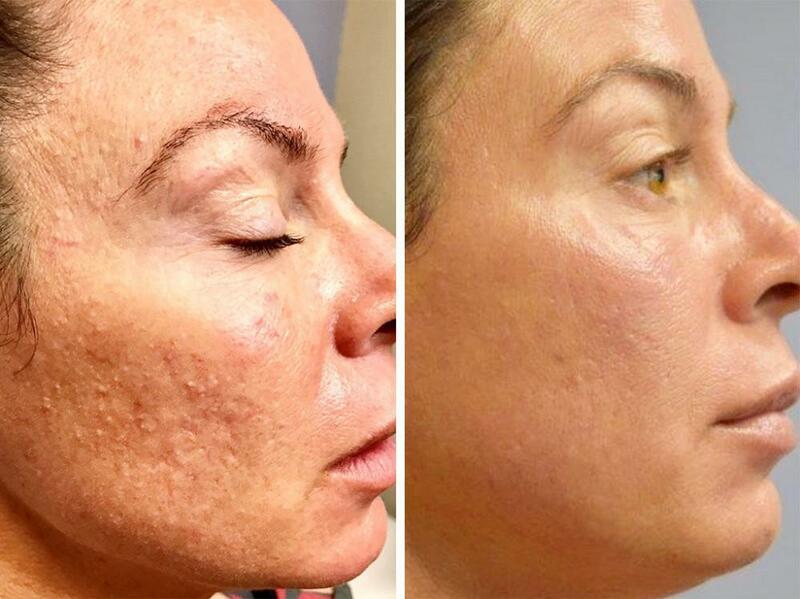 Recognizing new or changing spots on your skin, and having them evaluated by a physician is very important. If you are unsure about a spot, get it checked! Any spot that develops quickly, grows rapidly, or changes in any way needs to be considered for a biopsy. Remember, if it grows, it goes (most of the time). Thank you for reading about MCC, and let us know if there are any other topics that you are interested in knowing more about.